Expectant families from Fort Saskatchewan and surrounding communities can now deliver their newborns with the support of a midwife at the Fort Saskatchewan Community Hospital. The Fort Saskatchewan Community Hospital was recently approved for midwifery services. Seven midwives now hold delivery privileges at the site. 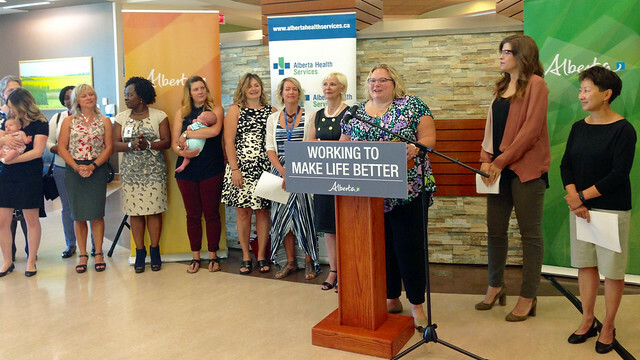 The expansion of midwifery services to communities across the province is at the heart of a new agreement between Alberta Health Services (AHS) and the Alberta Association of Midwives. The agreement includes a plan to get more midwives caring for families in rural and remote areas. Since 2015, the government has committed almost $13 million in funding for midwifery care, including a three-year, $11-million investment in Budget 2016. As part of this funding, the government asked AHS and the Alberta Association of Midwives to target growth in underserved communities. Midwives serve individuals with low-risk pregnancies. Care starts during pregnancy and continues after birth. Funding increases have resulted in year-over-year growth of 400 midwife-assisted births and a 30 per cent increase in the number of midwife-assisted births in Alberta in the last two years.